If space is an issue in your home, contemporary sliding glass patio doors from Renewal by Andersen of Northeast PA are an excellent solution. 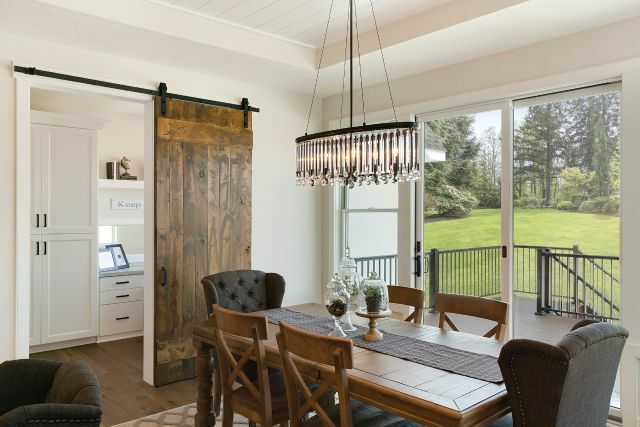 Not only are these sliding doors a great space-saving option, they also provide a smooth and stylish transition between your indoor and outdoor living areas. Andersen® Frenchwood® sliding glass doors. If you like the convenience and easy operation of sliding doors but are in love with the look of traditional French doors, the elegant Frenchwood sliding door is the door for you. Not only does it capture the beauty and style of French doors, it’s also easy to operate and maintain. Andersen® Narroline® gliding patio doors. For those that prefer the more traditional look of solid wood doors, Andersen Narroline gliding doors are the way to go. With attractive mortise-and-tenon joints, a natural pine interior that can be stained any color you wish, and a tough urethane base finish on the exterior that stands up to the elements, this door has a lot going for it! Andersen® Perma-Shield® gliding patio doors. Busy homeowners who value their time will appreciate the low-maintenance features of Perma-Shield gliding doors, which are composed of a solid wood core and frame covered with durable, easy-to-clean vinyl sheathing. Door hardware that’s available in an assortment of attractive finishes. Self-contained leveling adjusters and dual ball bearing rollers that ensure the sliding doors will move effortlessly on their track at the lightest touch. High-Performance™ energy-efficient glass packages and multiple grille options. A secure reach-out locking system that pulls the door tightly into the frame to keep out moisture as well as intruders. 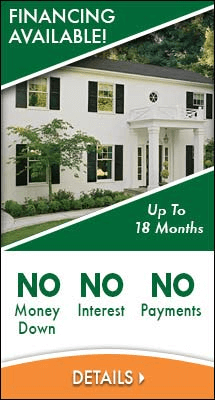 Andersen doors are installed by Certified Master Installers and covered by an exceptional warranty. To find out more about these replacement door options and learn which style would work best for your home, call Renewal by Andersen of Northeast PA at (610) 849-2800 for a free in-home consultation!